Located at 1 Inverness Terrace, Westminster, London, W2 3JP, the Hotel Grand Royale London Hyde Park is an award – winning 4 – star rated hotel in Hyde Park in London. With 188 great, specious and well – equipped guestrooms that blend comfort with style, luxury and elegance, the Grand Royale has fabulous, delighting facilities and great accommodation services that include having 5 different types of rooms in offer, each of them providing complimentary wireless Wi-Fi, safety deposit boxes and so on and so forth. For an enjoyable, luxurious, pleasing and delightful holidaying experience, the Hotel Grand Royale is the perfect destination and guarantees to offer you a dream holiday whether you are visiting for pleasure or for business and/or work purposes. A 5 – minute walk from the renowned Hyde Park and not more than 150 meters from the Bayswater Underground Railway Station, The Grand Royal Hyde Park is located conveniently in a splendid location in the heart of the city of London, that too, close at hand to one of the most popular areas of London. 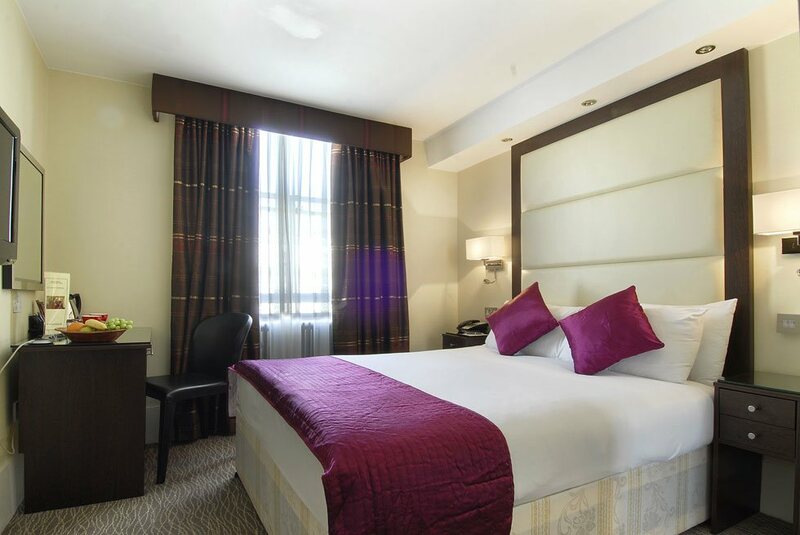 It is a 10 – minute walk from the Paddington London Train Terminal, and having the advantage of having two railway stations so close to it, the hotel offers its guests the distinct benefit of hassle – free link to the rest of the city of London. 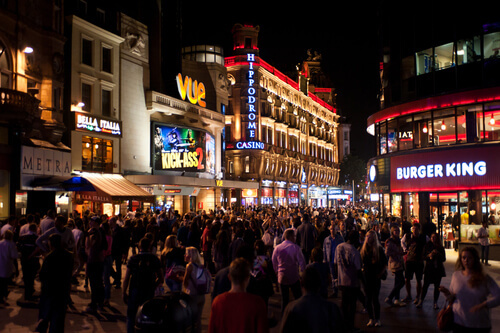 Most top attractions near Hyde Park can be easily reached from the Grand Royale. These include The Buckingham Palace, Madame Tussaud’s Wax Museum, and the British Museum, Queensway, Bayswater, the London Eye and many more. Complimentary wireless Wi-Fi connectivity is available. Chargeable private parking, air – conditioned rooms, safety deposit boxes, elevator, non – smoking rooms, housekeeping and maid service that include dry cleaning, ironing and washing, a 24 – hour front desk and so on are proffered by the Grand Royale. A charming restaurant serving delightful cuisines is offered, and is a trendy, fashionable bar offering great drinks. Rooms are decorated beautifully, with amenities such as satellite television, telephone and more. Private marble – floored bathrooms are available with each. A separate tour desk is there to aid guests. Tariffs for rooms begin at USD 124 for two persons per night for Deluxe Double Room, air – conditioning and soundproofing available and additional breakfast charges applicable, USD 178 and USD 194 for Deluxe Twin Room per two persons per night with additional breakfast charges and free air conditioning and television, USD 178 and USD 197 for Club Twin Room for two people per night, with additional breakfast charges applicable, and USD 218 and 242 for Club Double Room, and USD 108 and USD 120 for Deluxe Single Room for one person per night, with additional breakfast charges applicable. Share the post "Unforgettable Hotel Experience in Hyde Park, London"